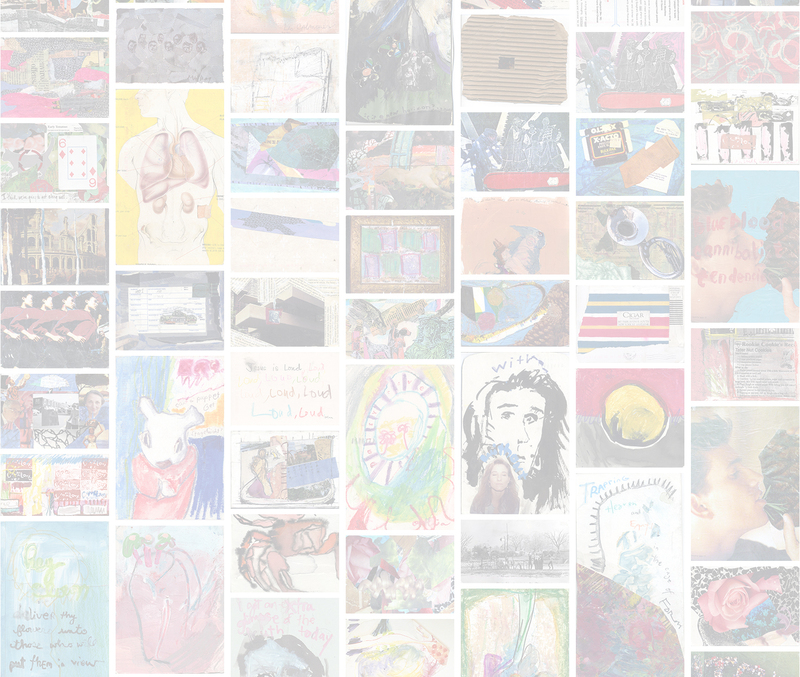 In 1992 we began a mail art project in the form of hand–made postcards. We had met and become friends while we were both living in Boston in the 80s, and after Cynthia moved to Cincinnati in 1989, we maintained our friendship though letters, visits, and a road trip to Mardi Gras. We started the postcard project on a lark, deciding to send each other small mixed–media pieces of artwork back and forth to each other in the mail. Our initial goal was 1000 cards. Our rules were this: once a card is mailed, it is considered “in circulation.” The receiver can work on it some more and mail it back, or take it out of circulation if she considers it complete.